Promoting the work of Bahamian poets. 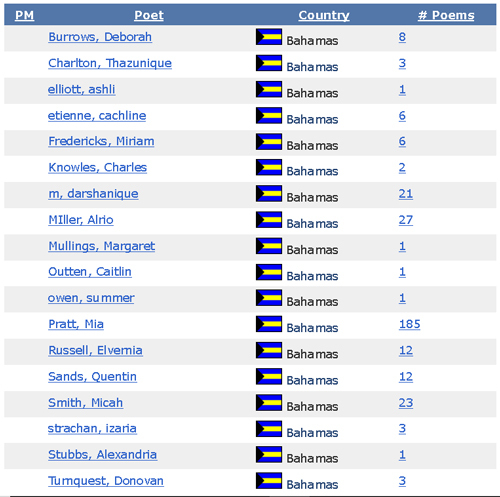 This is a list of poetry by Bahamian writers who are members of PoetrySoup. Please encourage your fellow poets from The Bahamas.